Patriots win Super Bowl LIII, President Trump discuses Syria, Pelosi and wall in wide ranging interview, and the best Super Bowl commercials. 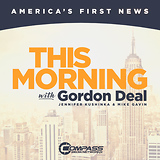 Pentagon pushes forward on Syria pullout, President Trump still wants his wall, and what's up with men who don't wear coats in winter. Shutdown enters a new week, Senator says Trump is re-evaluating quick Syria, and New Year's Eve freebies and deals. President Trump orders U.S. troops out of Syria, Senate approves stopgap spending measure to avoid shutdown, and states race to catch up with electric scooters. South Carolina deadly prison fight sparked by contraband cellphones, Trump touts "successful hit" in Syria, and is caffeine good for your heart. Russia's Putin predicts global 'chaos' if West hits Syria again, James Comey calls Trump 'morally unfit to be president, and why parents are fans of games like Fortnite. U.S. and her allies are hammering out plans on what to do about Syria. Gordon Lubold from the Wall Street Journal has the latest. Trump weighs Syria options, White House plans to escalate trade pressure on China, and restroom hand dryers could be spraying bacteria. How should the U.S. respond to Syria, House Speaker Paul Ryan won't seek re-election, and how to find out if your Facebook data might have been shared with Cambridge Analytica. Senators warn Mark Zuckerberg of new regulations, U.S. presses allies to back a military strike on Syria, and how text messages can improve your kids' reading skills. What's next for the U.S. in Syria? How will Washington handle the situation in Syria? 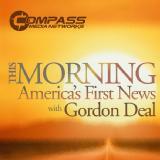 Jim Michaels from USA Today joins Gordon Deal to discuss. President Trump says he will decide soon on response to Syria chemical attack, agents raid office of Trump lawyer Michael Cohen, and reasons to not eat the world's hottest chili. President Trump warns Syria after chemical attack, North Korea ready to discuss denuclearization, and drug overdose deaths decline. Short on Backers, GOP Delays Vote on Health Bill, U.S. Warns Syria Over Chemical Weapons, and 6 gorgeous beach towns where you can actually afford to buy a home. Offensive to drive ISIS from Raqqa 'capital' in Syria begins, Jeff Sessions offered to resign amid tension with Donald Trump, and gifts to really help out new grads. James Marson from the Wall Street Journal joins us from Moscow to discuss the effects of the U.S. airstrikes in Syria on relations with Russia. Dozens of U.S. missiles hit air base in Syria, Senate Republicans go 'nuclear' to pave the way for Gorsuch confirmation to Supreme Court and places you can actually afford to buy your first house. Steve Bannon removed from National Security Council, Trump pivots on Syria policy after suspected chemical attack, and when your employer plans your baby shower. Russian pilots aren't following the rules of the road. Michael M. Phillips from The wall Street Journal has more. Truman Project CEO Mike Breen analyzes the latest attempts to save Syrian citizens stuck in the middle of the country's long fought civil war. Syrian intelligence is getting murky. Patrick Tucker from Defense One has more. Russian president Vladimir Putin begins withdrawing troops from Syria. Nathan Hodge from the Wall Street Journal joined us from Moscow with the latest. Putin says Russian forces begin pulling out of Syria, new trend in ID theft: Ghosting and the teams that cause the most bracket carnage. Anton Troianovski from the Wall Street Journal provides live analysis from Munich of the ceasefire agreement reached between the U.S. and Russia on the violence in Syria.